An increase in the stability and power of the core will positively effect the development of athletic performance, balance, speed, injury prevention, agility, acceleration and increasing lean muscle mass. When it comes to sport specific training and in-game performance the two actions that are at most susceptibility to injury are high velocity direction change and deceleration. When it comes in putting on a lot of muscle, we are susceptible to being injured from lifting heavy. Yes technique plays a huge role in both of those examples, but often times a persons technique is suffering due to their poor core power output and stabilizing ability. They bounce back and forth with their hips while bench pressing as opposed to having a solid base of support offered from their core. This is usually because they restrict their training movement to the sagittal plane. An analogy I like to use with my clients concerning a poorly developed core and strong chest / back / limbs is it is like shooting a cannon from a canoe. Your main stabilizing unit isn’t strong enough to deal with the power output the rest of your body is capable of, which leads to all sorts of different injury types. How should we train it? 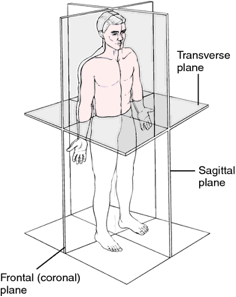 Through motion in the frontal, sagittal and transverse planes. All human movement is in three dimensions and to shy away from either one of these planes leaves the notion that you are not leaving all stones uncovered concerning proper core development. To stimulate the core we don’t always have to be moving the central region of the body in all kinds of crazy twists and turns. It is important to note that we can activate the core through limb movement and stabilization. The less we twist and turn and jerk around, the better. Core exercises in my opinion have gotten way out of hand, it seems the more difficult it looks it must be “better”. This isn’t the case. The more you twist and turn the more you leave yourself open for injury which isn’t necessary considering you can get the job without that type of movement. All recommendations are of course relative to yourself and/or your client, but when it comes to the core. The less range of motion, the better. The less speed of motion, the better. Remember the core can be trained through adding resistance to a limb and bringing it in towards the body, various planks, also ANY type of movement where resistance is offered unequally to one area of the body (whether it be from the side, back, front or vertical displacement) leading to a change in the center of mass which will advocate further and different types core activation. With those examples the possibilities are endless concerning no spinal / core twisting, concentric or eccentric movement. By no means am I saying proper technical twist / crunch style core movements are bad, they are great, I am just trying to open your mind on the limitations they offer when that is the only core activation in your entire weeks training regime. To put it short, everything emanates from the core. The core houses all your internal organs, your spine and your pelvis. Every movement no matter how small, is firstly controlled by the core. Good core control will reduce stress on all joints by allowing the body to have a solid foundation to work from. In order to allow your physique to safely and effectively put on a lot of muscle mass and increase your athletic ability, you need to focus on training the core, properly. To learn more about how to build a stronger, more muscular body, check out this video that Dan put together for us.